The 2017 Alfa Romeo Giulia Quadrifoglio is kind of pivotal to the manufacturer’s lineup, and Top Gear presenter and Jalopnik alumnus Chris Harris took it out for a spin recently. He loved the car overall, but get this—he dislikes the shifting so much, it “doesn’t worry [him] at all” that his home country won’t get a manual. The reason why the Giulia Quadrifoglio is so important is because it’s Alfa’s chance to rival BMW’s M3 and the high-performance Mercedes-AMG lineup, and the car does so with a 2.9-liter twin-turbo V6 engine and 512 horsepower under the hood. Harris likes the car overall—other than a non-impressive clutch and a “rubbery” shift quality, that is—but said the car is still missing out slightly in most performance areas compared to BMW and Mercedes-AMG. Is it good as an M3? No, not quite, he says. 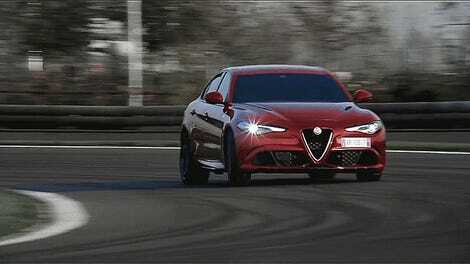 But it’s still the Alfa Romeo everyone wanted. The rear-wheel-drive Giulia Quadrifoglio starts at $70,000, and Harris is truly thrilled about the dampening quality, comfort, ceramic brakes and the engine. You’d have to be for that much money, right?